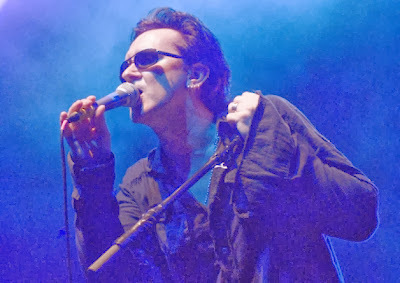 Formed in 1986 by members of The Sisters of Mercy, The Mission have secured a reputation over the past few decades as one of Leeds’ finest gothic exports. Front-man Wayne Hussey lived in Leeds during the mid-80s and has fond memories of the city. “We were nocturnal creatures back then,” he says. The Mission released their ninth full studio album, The Brightest Light, in September this year which saw the group mature as song-writers. “If you’re expecting the new Mission album to sound like a Mission album from 20 years ago, it might not be something that you like,” says Hussey. “I’ve read online that some of the fans are calling it the ‘Marmite’ album, which I kind of like. “The dynamic was great. We set up in a room and played together which is, for a notoriously good live band, is something we really have not done that much of in the past,” he says. The band members are spread around the world. With Hussey living in Brazil, Craig Adams in America, and Simon Hinkler and Mike Kelly living in Devon and Brighton respectively, getting the band together takes a lot of time and planning. “We only get together when we have things to do,” says Hussey. “The logistics of getting us together is quite complicated. For Hussey, the process of writing music comes in waves of creativity, but far from being sporadic, his method is disciplined and focused. “There are no hard and fast rules with songs,” says Hussey. “ I am not someone who writes all of the time. I collect ideas and when I need to write I dedicate time and tap into that well. “That can take a few days or it can take a couple of weeks before I hit the juicy spot. Once I do though, it all comes very quickly and there’s a lot of stuff that comes out. For such an established artist it was quite surprising to discover that Hussey takes a liberal attitude to the issue of internet piracy. “I’m sure my record company would hate me for saying this, but I have no problem with it,” says Hussey. This article was originally published by the Yorkshire Evening Post on December 5, 2013.